Jewish girl attacked and taken to bushes while standing at bus stop. Passerby prevents indecent act. Police open investigation. 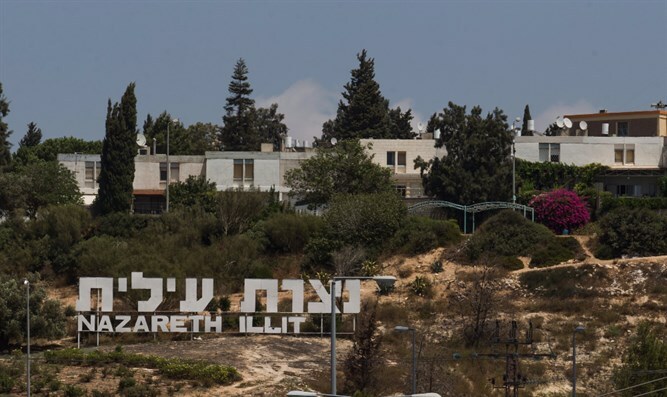 Students of a national-religious school in Nazareth Illit have suffered in the past year from the Arabs of the village of Reina near the school compound. Parents at the "Lehosif Ometz" school described in a conversation with Arutz Sheva how the Arabs of the village jump over a school fence into the compound, destroying school equipment and playground facilities, and damaging the building. A few weeks ago, an air conditioner was also set on fire in one of the classrooms. Last Friday, when a first grader got off the bus, an Arab kidnapped her from the bus stop, took her to the bushes and tried to commit an indecent act. A civilian passing by prevented the disaster that might have occurred. "There are failures here, our children have become cannon fodder and no one here is doing anything, my son came out of school a week ago and received beatings from Arab youths. There is no guard because the guard finishes his work before my son finishes his studies," Aluf said. "When the children leave school, they steal money from them and beat them." The parents have good words about the municipality and its head - Ronen Palut, but note that the issue is one of Arab terrorism and not routine neighbor disputes, and therefore urban policing cannot solve the issue. "This is a kind of terror, my child is in a Jewish city, afraid to leave the house," said the worried mother. Israel Police confirmed that an investigation had been launched following the attempted attack on Friday. The station commander is in direct contact with the parents' committee of the school.